Our furry friends from Therapy Dogs International will be back at Van Pelt-Dietrich Library on May 2nd and 3rd, 1-3pm in the Meyerson Conference Room (Van Pelt-Dietrich Library Center, Room 223)! Students can de-stress with the dogs then pick up some snacks and drinks to refuel during study sessions. Student Health Services will also be on hand to provide students with resources, relaxation tips, and coping strategies to help manage end-of-the-semester stress. 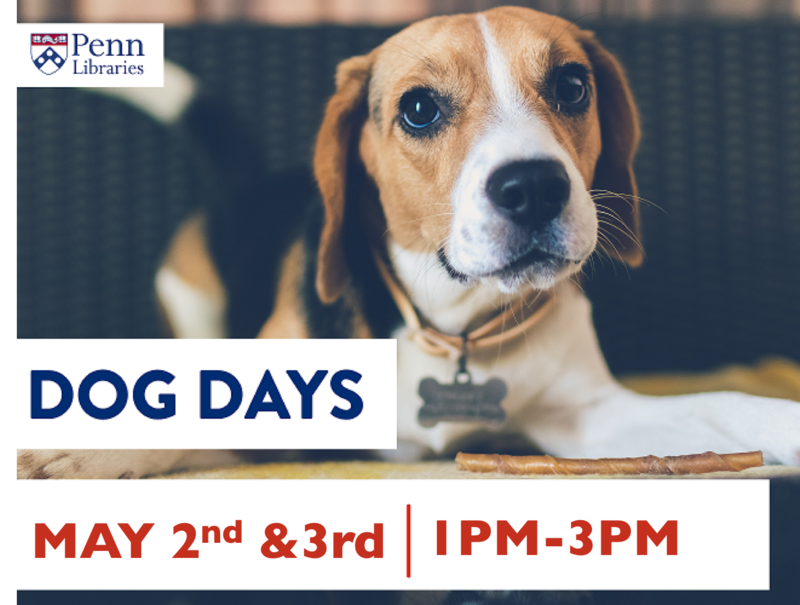 All members of the Penn community — students, faculty, and staff — are welcome to attend and spend time with the dogs. Registration is recommended but not required.